: Add one mana of any color to your mana pool. Spend this mana only to cast a Dragon creature spell. 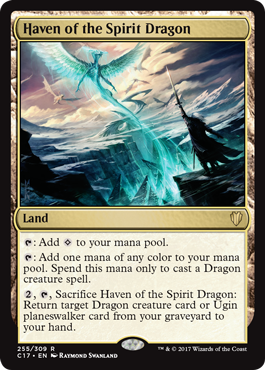 , , Sacrifice Haven of the Spirit Dragon: Return target Dragon creature card or Ugin planeswalker card from your graveyard to your hand. 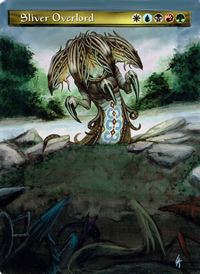 First and foremost, here are some suggestions for improving your manabase: Rootbound Crag , Blighted Woodland , Kazandu Refuge , Haven of the Spirit Dragon , Gruul Guildgate , Rugged Highlands , Command Tower , Temple of Abandon , Sheltered Thicket , Cinder Glade , Game Trail , and Kessig Wolf Run . I know that's a lot of cards just dedicated to mana, but I think the Haven and Kessig will pull both surely pull their weight. Rishkar's Expertise generates great card advantage while you control a big dragon. Harmonize is another strong draw spell in green. Cultivate and Kodama's Reach are cards just like Nissa's Pilgrimage , and they help you accelerate your game. I'm not sure how you feel about infinite combos, but Aggravated Assault and Savage Ventmaw is an option. Grand Warlord Radha has the potential to achieve the same. I'd definitely recommend cutting Demolish (although that gremlin is quite cute). You could replace it with cards such as Beast Within , Aftershock , Hull Breach , and/or Decimate . Finally, Dragonstorm is a fun card that allows you to find whatever dragon you might want/need. It's nowhere near as good as Tooth and Nail , but it is a fun and more budget-friendly option for the time being. This is very low budget deck, less than $30, therefore all my card suggestions will be $1 or less. There's several budget cards that can replace current cards here. I'll first list all card suggestions for you to consider and then explain. The card suggestions for your overall deck are cards that can help in all matchups not just against your Goblin opponent. Command Tower and Haven of the Spirit Dragon are Rainbow lands they can make mana of any color (red or green) to cast Dragons. Tower is one of the best lands for multicolor decks in all of Commander. Mana it makes can be used to cast any spell. Dragon Tempest and Dragon's Hoard are excellent Dragon tribal cards. Tempest giving haste to Dragons as well as a source of damage to a target opponent or creature whenever a Dragon comes into play is very strong. Haste with big powerful Dragons makes them much more threatening to your opponents especially when they get double strike from Atarka. Hoard is a Rainbow mana rock, it can make any color of mana to cast any spell. This is great and another reason it's good is it can be a source of repeatable draw because of Dragons. 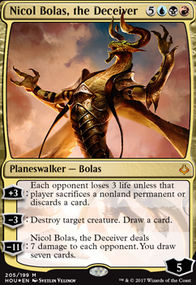 You put a counter on it when a Dragon ETB (enters the battlefield); can then remove a counter to draw a card. Talisman of Impulse , Prismatic Lens and Mind Stone are two drop mana rocks. Early game mana rocks and land ramp spells ( Cultivate , Kodama's Reach , Nissa's Pilgrimage ) are cards you want with Dragons. You need early game plays and ramp is the best thing you can do since the faster you can play your big Dragons the more pressure you put on your opponents and the faster you can kill your opponents. Adding more ramp is a good way to beat your Goblin opponent because if you land a big Dragon faster than normal then Goblins will have a hard time dealing with it. Lathliss, Dragon Queen and Scourge of Valkas are two very good budget Dragons because they give you more value when you play more Dragons, they are also excellent when both are on the battlefield. Lathliss creates Dragon tokens and Scourge does damage to target opponent or creature whenever a Dragon ETB. When a Dragon token is created this means it ETB. The token will trigger abilities of cards like Scourge, Tempest, Hoard, Elemental Bond , etc. Glorybringer is a powerful five drop budget Dragon who can be a repeatable single source of 4 damage to target nonDragon creatures. He's a repeatable way to kill Krenko. 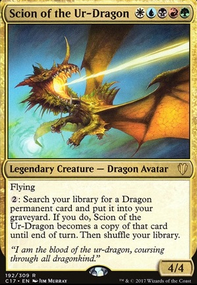 Sarkhan's Triumph and Signal the Clans are budget instant creature tutors to search your library for a specific Dragon such as Lathliss or Steel Hellkite and it put into your hand. 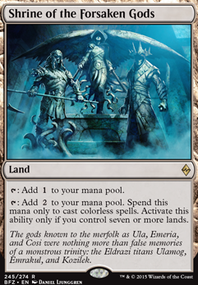 Harmonize is good draw for four mana and Elemental Bond can be repeatable draw when Dragons ETB. 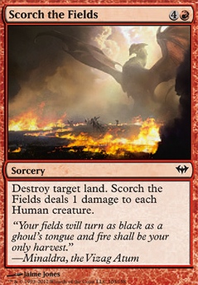 Magmaquake is an instant creature board wipe that doesn't hurt your Dragons, best of all it can kill all Planeswalkers if you put enough mana into it. Against your Goblin opponent you want repeatable damage effects. Circle of Flame and AEther Flash do this; Circle prevents your opponent from attacking with 1/1 creatures because any 1/1 creature who attacks will die. Flash does 2 damage to each creature including your own creatures when they ETB. Doing 2 damage to Dragons doesn't kill them, but doing 2 damage to every Goblin that ETB can prevent your opponent from even playing Goblins. The number one target to kill against Goblins is the Commander Krenko, Mob Boss because his ability can keep making Goblin tokens and this can get out of hand pretty fast. When Krenko dies he goes to the Command Zone, but this can delay your opponent long enough for you to stabilize with a Dragon or two. Incinerate and Mizzium Mortars ; you want a few more low mana cost targeted removal spells that can do 3 or more damage just to be able to kill Krenko. Mortars is unique because for six mana it can instead do 4 damage to just all your opponents creatures. Early game board wipes are also good against Goblins. Pyroclasm , Sweltering Suns and Slagstorm are budget board wipes that can be cast turn two, three or four which can cripple your Goblin opponent. Sweltering and Slagstorm do 3 damage to all creatures this means they will more times than not kill Krenko since he has 3 toughness, but your Dragons will be fine since most have more than 3 toughness. Respite is one of many Fog effects in Magic that prevents combat damage, but the reason I chose it as a suggestion is because it also gains you life equal to the number of attacking creatures. If you like some of these card suggestions I can help you to make cuts. Guerte: Fair enough! As I said I've been a huge fan and I've been running your list as it's grown for almost 2 years now. I suppose my only reservation on the Tron package is how there really isn't a consistent way to tutor and get all three lands. I feel like one by itself is just a worse Arch of Orazca or Homeward Path. Not to mention the full set can easily be disrupted with land destruction. Interesting to also note Sculpting Steel is in as well. I've tinkered with it and love the versatility but I don't think I can make a slot for it, personally. I think I'll elect to keep the Crucible package in, but swapping Karn, Scion of Urza for Saheeli's Directive, and the Lightning Greaves for KCI are worth while changes. I also will try out Forge of Heroes in place of Haven of the Spirit Dragon. Glad to have ya back post-hiatus, and hope to see some more gameplay on YouTube! 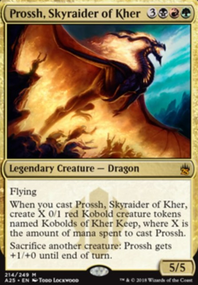 Creaturewise I think Dragonmaster Outcast is just too low impact, also Moonveil Dragon and Skyship Stalker are a bit weak. Even though Dragonspeaker Outcast provides great ramp I am struggling with that one. There are a few dragons which merit further exploration I think, but can depend on what you are facing.